Sell Seeds – Grow Your Student Account! Spring is definitely in the air and the RMPA is pleased to offer a spring fundraiser for our music students. The fundraiser is happening in partnership with West Coast Seeds, a local company that offers high-quality non-GMO, non-GEO, organic seeds. So the fundraiser is good for the planet as well as your student account balance! And there’s a whole variety of seeds to tempt buyers – veggies, herbs and flowers – from arugula to turnip, basil to parsley, and calendula to zinnias! Students sell seeds to family and friends from the selection on the order form. Students place their completed order form and cash/cheque for the total amount in an envelope and submit it using the secure lock box in the Band Room. 40% of the total sales made by each student goes to their music account. 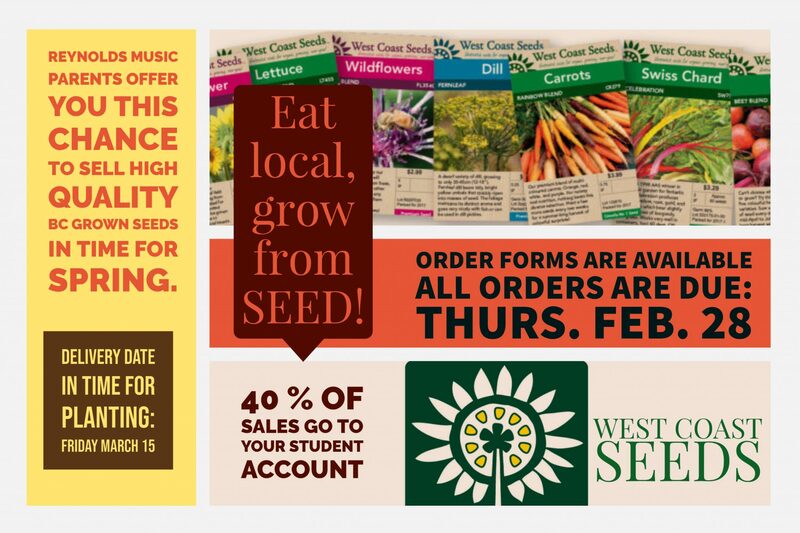 You can download and print the order form here: 2019-Seed Order Form – Reynolds Music. Orders must be submitted by February 28, 2019. The seeds will be delivered on Friday March 15 – ready for spring planting! 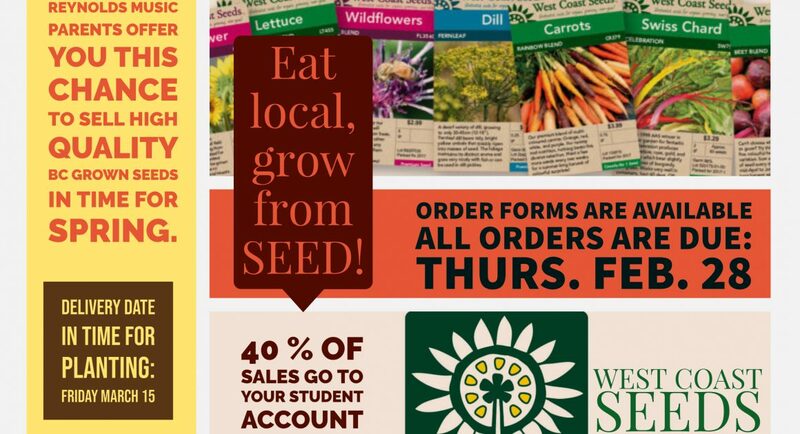 So sell those seeds, support local food production and grow your student account balance!